"It's easy! 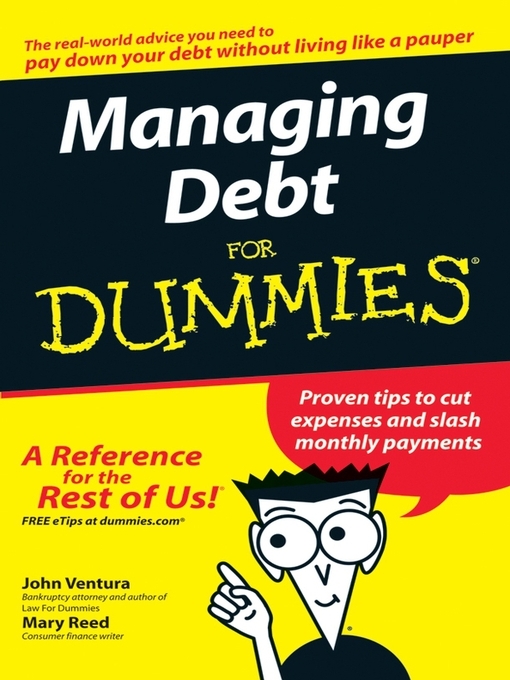 Cut your spending, dummy!" So the axe finally has fallen. After a summer of multiple announcements of public expenditure cuts, the crescendo was reached this afternoon when Chancellor George Osborne delivered his statement on the comprehensive spending review to a packed House of Commons. Over the next four years, most government departments will be expected to reduce their budgets by an average of 19%. Health, which was ring-fenced, is only to receive a marginal increase in its budget. By the end of this Parliament, Britain’s structural deficit—the deficit that the government still runs even if the economy is operating at full capacity—should be eliminated. Together the spending review will fundamentally change how the British economy will be structured, possibly for many years to come. Keynesian economists and the Labour party worry that contractionary fiscal policy at a time when private sector recovery has not been secured would dampen aggregate demand and trigger a double-dip recession. They have a point. This is especially since the normal engine to private sector-led recovery, the financial sector, is still not operating at full capacity yet. If the public sector is going to cut now, who will fund private sector recovery? While the argument is valid, it misses a key point. Running public deficits may be important to stimulate economic recovery, but deficits do not finance themselves; money has to be borrowed from elsewhere. Partly to rescue the banks from failure, public sector borrowing has reached stratospheric heights, standing at more than 11% of Britain’s gross domestic product at the time of the Mr Osborne’s emergency Budget in June. The Labour government was right to take decisive action to stabilise the banking sector, but it also created a problem by borrowing so much extra. Loans mean interest, and as Britain’s debt increased, so did its interest obligations. This year alone, £43 billion will be paid to financial institutions simply to service Britain’s debt. That amount is more than what the government spends on the police, housing and the environment, industry, or defence. Servicing debt represents a deadweight loss to the British economy, as the money is not spent to stimulate the economy. The more we borrow, the higher the debt interest, and the greater the deadweight loss to society. Therefore it makes much sense to rein in spending in order to reduce our borrowing. The Keynesian argument isn’t completely dead yet, however. The government has pledged to protect many investment projects in infrastructure, research, sunrise industries, education and enterprise creation. Public sector job losses, projected to amount to half a million over the next four years, will be achieved mainly through natural wastage and unfilled vacancies. When money is tight, one should spend on what will be most likely to guarantee greater revenue in the future. Almost fortunately, the cuts are being implemented by a coalition government whose dominant party is ideologically inclined to have a smaller state*. The spending cuts match the natural ideology of the Conservatives: shrinking the state and encouraging the private sector, local government and civil society to take more of the burden of running the country. That will make implementing the whole package of reforms a smoother and more logical process. Reform in schools and the benefits systems and updating Britain’s defence capabilities to reflect the post-Cold War world should all eventually contribute to long-term reductions in public spending and more effective governance. It won’t be a surprise to readers when I say that I feel that the broad direction of the government’s plan is right: debt over-accumulation is generally bad, and I am all for a smaller state in exchange for a larger private sector-led economy and volunteer-led society. In any case, I haven’t got much choice; credible or not, the coalition’s plans are the only ones on the table at the moment. For all its predictable protestations, the Labour party has yet to come up with any kind of updated proposal to sort out the economy and the public finances (the 19% spending cuts announced today are on par with Labour’s initial proposals of 20% anyway). Perhaps Alan Johnson is waiting for his copy of “Economics for Dummies” to arrive from Amazon. Britain now badly needs the opposition to get its act together. Let’s hope it gets it sooner rather than later. * I don’t know why British politicians, including the Prime Minister, use “ideology” as if it’s a dirty word; it’s just a synonym for a set of principles, and nobody complains about government by principle. In fact, the years of state expansion under Labour have, I suspect, been in part driven by the socialist instinct of “Father knows best”. Under Labour, government grew by piecemeal, building up huge complexities and inefficiencies. It makes sense now to wield the shears to trim away the overgrown branches. After all, if a crisis doesn’t force us to take drastic action, what will? "Crap! I think I just condemned myself to hell..."
Recently there has been a spate of world headlines related to freedom, whether it is the joyous occasion of 33 trapped Chilean miners being freed from what could have been their tomb, or the gloomier news that the Nobel Peace Prize 2010 has been awarded to Chinese dissident Liu Xiaobo, who is currently serving time in prison for his remarks and activities the government sees as a threat to its rule. Freedom is a universal pursuit, despite claims to the contrary. Some charge personal freedom as essentially a western-centric concept. True, nowadays the west values personal freedom on a very visible basis, but how can the desire for personal freedom be a solely western construct when, for example, it is universally recognised that deprivation of freedom is regarded as some form of a punishment? That is why every country in the world has a penal system—in part to deprive the criminal of freedom as punishment. The universal pursuit of freedom is why slaves, prisoners and teenagers, from all cultures and eras, tend to try to run away. It is why, when invaded, enslaved and colonised, the founders of modern developing-world countries organised resistance movements to throw out the oppressors. Many charge the west for being hypocritical—espousing the virtues of freedom at home while imposing shackles on outsiders. But the charge goes the other way too: those who deride the hypocrisy of the west do so in confidence that their freedom of criticism will not subject them to the west’s silencing methods. Of course, unmitigated personal freedom spells disaster—Thomas Hobbe’s famous quote “bellum omnium contra omnes” (“the war of all against all”) comes to mind. Freedom comes with responsibility and mitigation, as ultimately a compromise of some sort is needed if we are to form a community with one another, agreeing to sacrifice some of our freedoms in order to gain from communal living. Therefore at some point, personal freedom will always collide with communal values. There is no hard, fast way to balance the two; each case must be seen in its own light. But I believe that in such conflicts, it is much better to err on the side of personal freedom. The benefits of freedom are plenty. Biologically and psychologically, humans like space—the bigger the better. That is perhaps why the houses of rich people are so big. Even the most authoritarian of dictators want freedom—they simply want it for just themselves and nobody else. Hitler’s expansionist foreign policy was based on the quest for “Lebensraum”, or “living space”, for the Aryan race. Imagine how Kim Jong-Il would react if he was told his supply of caviar was to be restricted, or if Robert Mugabe was actually forced to live on Zimbabwean dollars. For all the talk of “harmony” in China, how harmonious would Prime Minister Wen Jiabao feel if, say, he was jailed for something he said in a Politburo meeting? Actively restricting others from enjoying the same freedoms one does is at best dubious, if not simply hypocritical and deplorable. More than us wanting it as a natural instinct, freedom brings visible benefits. The most obvious type is measurable: the economic benefits of freedom are plenty, as the freedom to specialise and innovate has created the most dynamic and prosperous international economy the world has ever seen. Yes, there are drawbacks to unmitigated freedom. The sexual revolution of the 1960s precipitated family and social breakdown across the west. Our online freedoms have increased our vulnerability to cybercrime. The use of the freedom of expression by one cartoonist and a pastor inflamed people across continents. But such events or trends should not become arguments against the general desirability of freedom. The sexual revolution elevated the status of women. Telecommunications have made it easier to expose the wrongdoings of authorities. The offence caused by the Danish cartoon and the pastor’s threat of burning the Koran are beginning to take Islam into the place Christianity was in around the 1600s, when unrealistic expectations and assumptions about the world in the west were challenged. Although freedom does bring with it unwanted consequences, the first step to rectify shortcomings is actually freedom itself. Imagine a place where all wrongdoings are always hushed up. How will improvements ever be made? Given humans’ natural desire for freedom, and freedom’s overwhelming benefits, in a conflict between personal freedoms and communal values, I believe it is much better to err on the side of personal freedom. I don’t think anyone should hold an opinion different from mine. But if you happen to disagree, guess what? You’re free to. Plans to radically overhaul Britain’s benefits system have been unveiled this week, ahead of the government’s spending review later this month. They were the result of a long-running struggle between the Chancellor George Osborne and the Secretary of State for Work and Pensions, Iain Duncan Smith, with the latter emerging victorious. According to the government’s budget in June, welfare will cost the taxpayer £194 billion this year, a whopping 27.8% of government spending, and £44 billion more than the government’s income tax receipts. The welfare system is not only expensive, but complicated too. Not only are there multiple payments for the same individual or household, but the rules regarding when the money is withdrawn discourage the unemployed from taking on jobs. The welfare reform announced this week by Mr Duncan Smith at the Conservative party conference aim to tackle complexity first, cost second. Most of the current benefits will be collated into one super-benefit, with exceptions such as disability living allowance. The money will be withdrawn gradually as people’s incomes rise, encouraging them to work. People who have been unemployed for more than 6 months will also get a government grant to start a business. The welfare reform package hints at significant start-up costs, which are the grounds of objection by the Treasury, whose aim is to make Britain’s ends meet. After all, any increase in the welfare budget to finance the reform must be met by savings somewhere else. No concrete details have yet emerged on how the reform will be funded, and the Treasury is still insisting on saving some £11 billion from the welfare budget this year. It is entirely normal for new projects such as the welfare reform package to incur a start-up cost, and completely understandable for the Treasury to be jittery about funding them at a time when the public funding gap is so wide. But welfare reform is essential to placing Britain on a path of better recovery. For many years now the press have been circulating stories of dishonest benefit scroungers who manipulate the system to live off the backs of hardworking taxpayers. Of course, many people who stay trapped on the system may have found it simply uneconomical to take up paid work, and they cannot be blamed. Most people at least agree with welfare reform in principle. Ensuring that the welfare system does not hold people back from taking employment not only helps to repair the nation’s finances in the long run, but it can work magic in many areas in Britain that need reform, because employment provides not only a financial boost to individuals, but a psychological one. The dispute between the Treasury and the Department for Work and Pensions reveals an important dilemma facing the government as the cuts to public expenditure start to bite: how to transform Britain for the better with less money. The government has so far been careful to ensure that at least outwardly, the poorest are shielded from the worst of the cuts (read: the worst of the cuts, not the cuts itself). Announcing the withdrawal of child benefits from higher-rate taxpayers is a positive move, even though it breaks an election promise by the Conservative party. 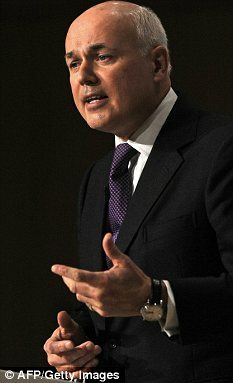 So is the capping of benefits to average household income and plans to recognise marital commitment in the tax system. As the cuts to public expenditure begin to bite, there will no doubt be pain to every sector of society. Rants from the Left about the pain being unfair are essentially pointless: nobody in the right mind thinks that pain to themselves is fair. However, such pain is essential for the whole of the country to plug the massive funding gap that Labour party had left with Britain. The country as a whole did not deserve all the benefits it was showered with by Labour during the boom years, since there was no sustainable way of funding them. If it takes big cuts and a revolution to drag the benefits system back into reality, so be it.